On October 9th, I was arrested along with 14 others. 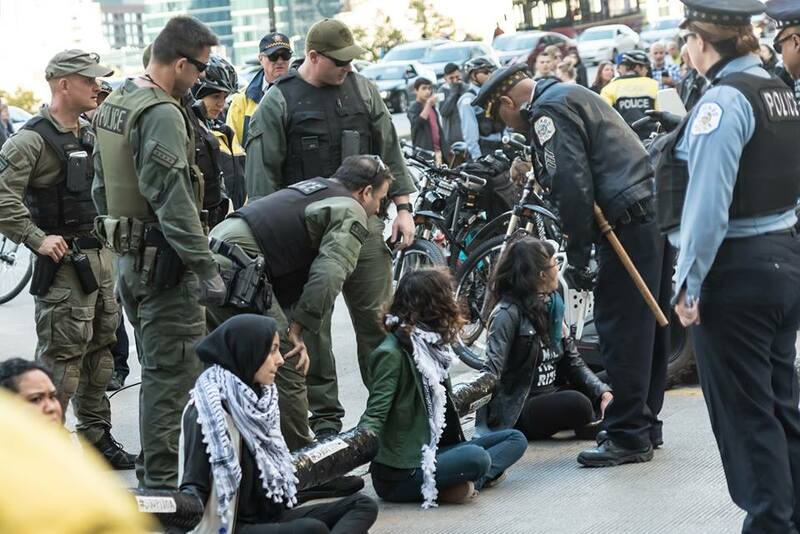 We chained ourselves to each other to block a major intersection in downtown Chicago on the first day of the Illinois Tactical Officers Association (ITOA) 2016 Tactical Training Conference and Weapons Expo. We were all arrested, charged with misdemeanors, and since released. The act of civil disobedience was part of the #StopITOA campaign--a campaign centered on ending the ITOA conference and the ever-increasing militarization of American policing domestically and abroad. The militarization of police and policing within the United States has been steadily increasing since the beginning of the "War on Drugs" and has only since accelerated with the "War on Terror." Violent military equipment previously used by the American military, foreign dictatorships, and apartheid regimes in war, occupation, and genocide are now "coming home" and being placed in the hands of America's police and law enforcement to use against those within its own borders. The "1033" program which is passed by the Department of Defense every year--and signed by Obama--gives the Pentagon a budget to give “surplus military equipment” that is “left over from U.S. military campaigns in Iraq, Afghanistan and elsewhere" to local law enforcement agencies to use at their will--and at incredibly little cost, if any. The corporate sponsor for this year's ITOA conference was Safariland, a massive weapons manufacturer whose teargas and weapons have been used from Israeli apartheid and military dictatorships to Ferguson, Missouri. While teargas now seems like a normalized part of "crowd control" tactics against peaceful protesters in the USA, it has been classified as a chemical weapon by the United Nations and banned in international conflict at the Chemical Weapons Convention in 1993. What America's military is "not allowed" to used abroad, local police use--while massive weapons manufacturers such as Safariland continue to profit from the resulting violence. But an accelerated trend of hyper-militarization does not stop at law enforcement: tactical, militarized trainings at the ITOA conference were also held for emergency medical technicians (EMTs)--i.e. our health care providers and clinicians. The movement to militarize means government funding itself focuses on violence than meeting community needs. While tactical trainings are required for Chicago Police Department, mental health training is optional--despite the fact that countless police shootings in the USA are in response to mental health crises. And it gets worse. 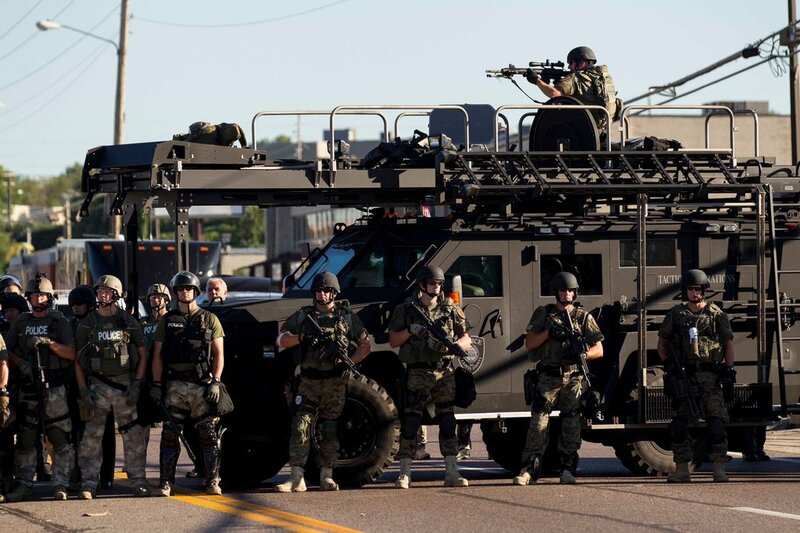 Here are 11 more Shocking Facts About America's Militarized Police Force. The long-withstanding and intimate relationship ITOA has with our tax-paid government agencies is emblematic of where priorities are in respect to funding. While this year's ITOA conference was not directly funded by DHSEM, the Cook County Department of Homeland Security and Emergency Management (DHSEM) has sponsored countless tactical trainings with ITOA for local and regional SWAT and law enforcement. Moreover, the current Executive Director of Cook County DHSEM is Ernest Brown who, along with being accused of sexual assault, is also himself a member of ITOA. And it gets worse. These militarized trainings are taking place in exactly some of the same community locations that are being closed due to "budget deficits"--closed schools, primarily on the Southside (where there exists already a lack of government funding for education, among other needs)--are being used as training grounds for police and SWAT. Currently, the Chicago Police Department already consumes 40% of the city budget--and it is only predicted to increase. Just last month, Mayor Rahm Emanuel announced that he plans on hiring 1,000 new law enforcement personnel over the next two years, although he remains "unclear" on where the funding for their extra $135 million annual costs will come from. Although we can take a guess. While the argument in favor of increased funding for police equates doing so with increased levels of safety, it is important to ask--increased safety for whom? With police shootings of Black people and Indigenous people only increasing, anti-Muslim fear-mongering fueling local militarization and surveillance, over 100 SWAT raids happening daily, and war-like equipment being used against impoverished communities and communities of color, who is befitting from hyper-militarization of police? And how much funding is being burned with it? If the solution is to lower crime, why not increase funding instead for education, libraries, and community resources that lend themselves to the growth and success of a community? When almost half of all of those killed by police have some sort of disability, why is funding going to increase a police force that clearly doesn't know how to deal with mental health rather than increasing funding for mental health facilities? Why wait for a social issue to arise and deal with it violently rather than work to address the root cause? 3. Islamophobia is fueling police militarization. The choice for this year's ITOA conference keynote speaker is a clear example of the ideological funding of militarization: Sebastian Gorka is a far-right extremist, Trump adviser, and so-called "national security expert." His career has been largely built from creating and spreading anti-Muslim propaganda in hyper-militarized local, federal, and international institutions and settings--all while using Islamophobia as an excuse to continue to build up and fund militarization both domestically and abroad. Post-9/11 fear-mongering of an "ever-looming threat of radical Islam" is the new norm of America's political, media, and policing culture. 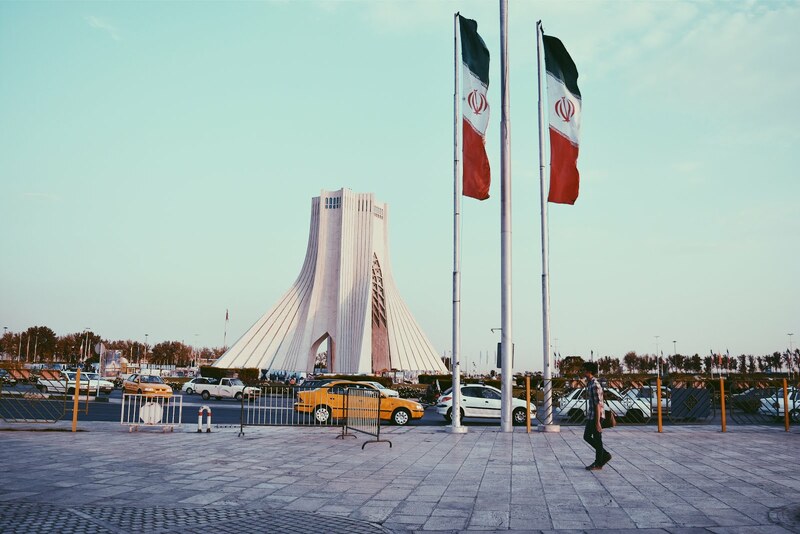 Creating a false threat of "radical Islam" always around the corner establishes a culture of fear that is then used to leverage government agencies to increase spending on military-style weapons (the same equipment used to kill Muslims "over there") to "protect" the United States domestically. Of course, these weapons are then of course used disproportionately against Black communities, Muslim communities, and impoverished communities of color, despite the fact that white, right-wing extremists "are a bigger threat to American than ISIS." Law enforcement's Islamophobic-infused tactical training is already evident not only in the countless cases of police violence against Muslims, but was also clearly on display at the #StopITOA blockade on Sunday when the Chicago Police Department, Fire Department, and SWAT responded to the 15 #StopITOA protesters--as the only Muslim, hijab-wearing woman arrested, I was subject to various forms of racial profiling I will save for its own post. Because the ITOA conference and the greater culture of racism and anti-Muslim militarization it helps to fuel and propel deeply affects so many different communities, the movement to challenge and call for an end to such cycles and systems must also be rooted in intersectional solidarity work. The #StopITOA campaign successfully brought together young activists who are Muslim, Black, immigrant, indigenous, migrant, working-class, undocumented, white, Asians, queer and trans, and of communities of color. 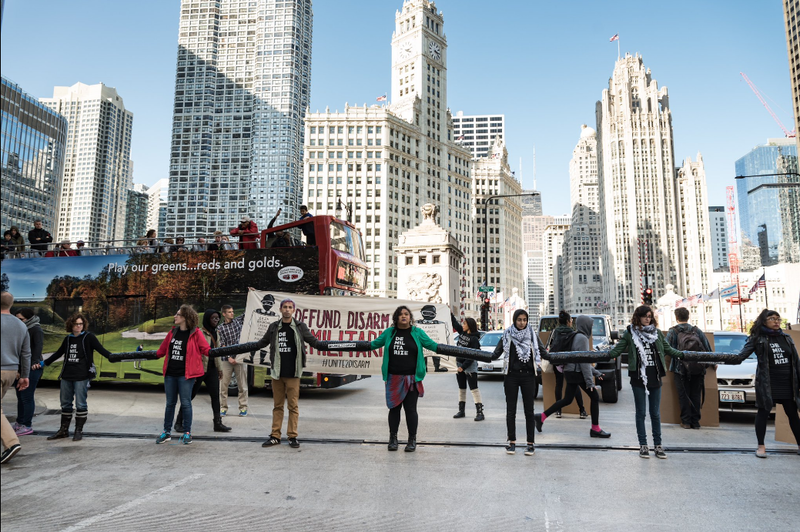 The campaign's statement of opposition was endorsed by over 20 different organizations, including Assata's Daughters, For the People Artists Collective, American Friends Service Committee-Chicago, the Council on American-Islamic Relations-Chicago, Black Lives Matter-Chicago, Organized Communities Against Deportations, National Queer Asian Pacific Islander Alliance, and the Arab American Action Network, among others. Along with organizing and executing the act of civil disobedience on October 9th, our #StopITOA campaign also collected over 3,000 signatures on a petition calling on Stonegate to drop the ITOA conference, organized a teach-in to promote community education and discussion, held a press conference, and created a website with information and resources for anyone interested in learning more or getting involved. Anti-Muslim-fueled hyper-militarization continues to blend the lines between local policing and the military, and doing so requires more and more funding taken from community resources and given to companies and corporations that profit from violence--locally and abroad. Originally published on Chicago Monitor.